Getting professional training from an internationally accredited institute like JLI helps you with recognition and acceptance, regardless of your regional location. From the Americas to Europe and Middle East to South Asian regions, James Lind Institute's students enjoy regional acceptance and recognition. 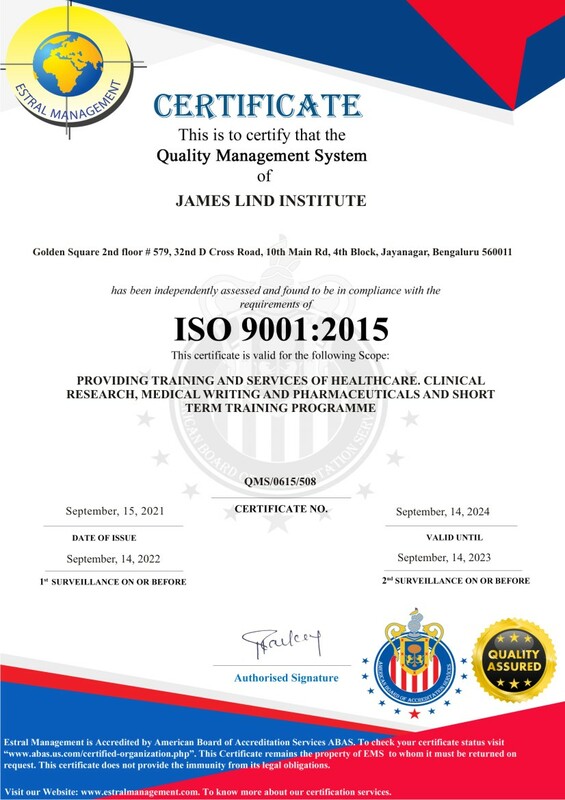 After successfully going through various rigorous quality checks and meeting compliance requirements of multiple international agencies James Lind Institute (JLI) has received the following accreditations making our programs truly global. 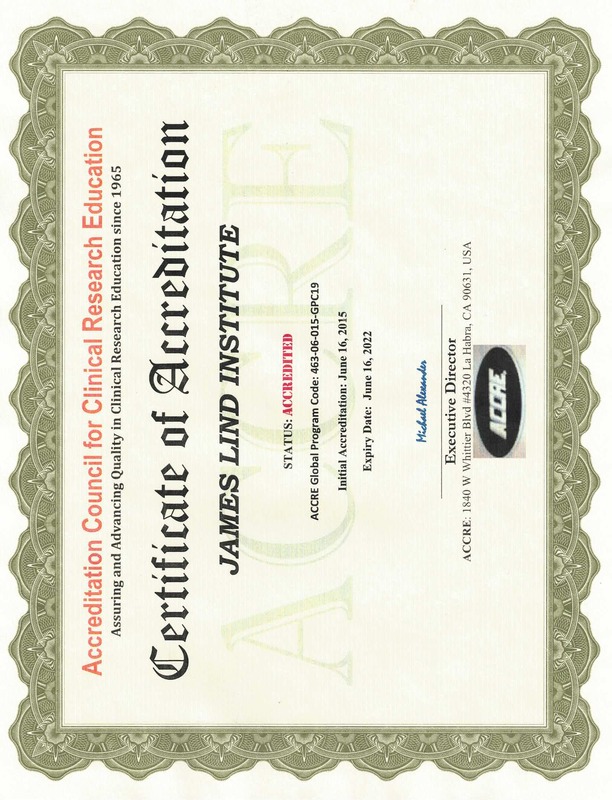 James Lind Institute's online clinical research programs are also fully accredited by the Accreditation Council for Clinical Research Education (ACCRE), USA. ACCRE is one of oldest clinical research accrediting bodies based in La Habra, California, USA since 1965 thus making our clinical research programs even more acceptable within the clinical research industry. 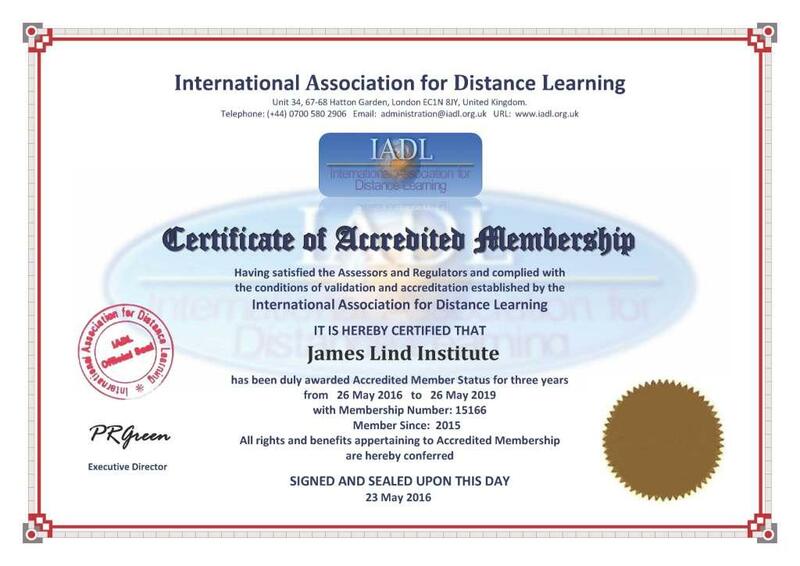 James Lind Institute is a proud member of the prestigious International Council for Open & Distance Education. 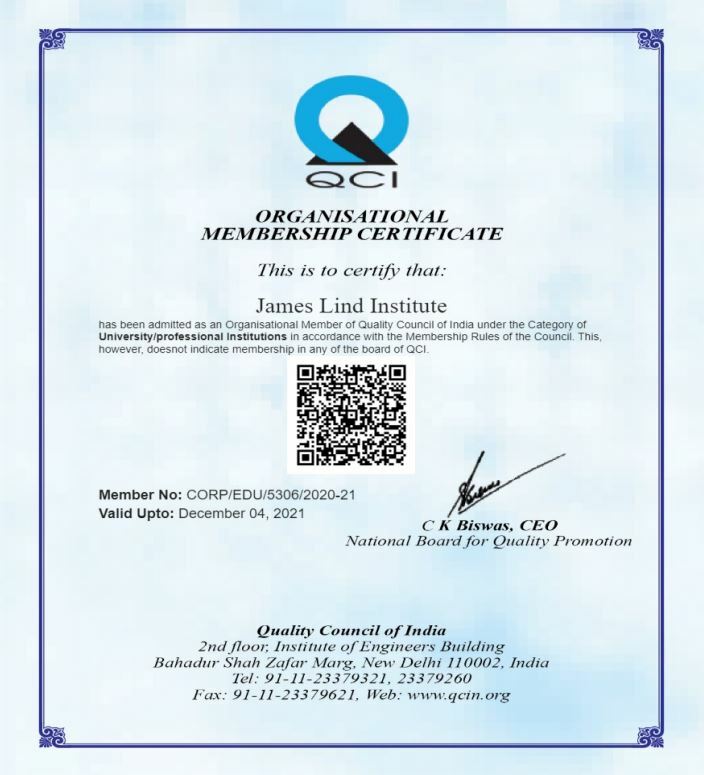 James Lind Institute is registered with and a member organization of the Quality Council of India (QCI), Government of India. Quality Council of India was set up in 1997 jointly by the Government of India and the Indian Industry represented by the three premier industry associations i.e. Associated Chambers of Commerce and Industry of India (ASSOCHAM), Confederation of Indian Industry (CII) and Federation of Indian Chambers of Commerce and Industry (FICCI), to establish and operate national accreditation structure and promote quality through National Quality Campaign. The Department of Industrial Policy & Promotion, Ministry of Commerce & Industry, is the nodal ministry for QCI. 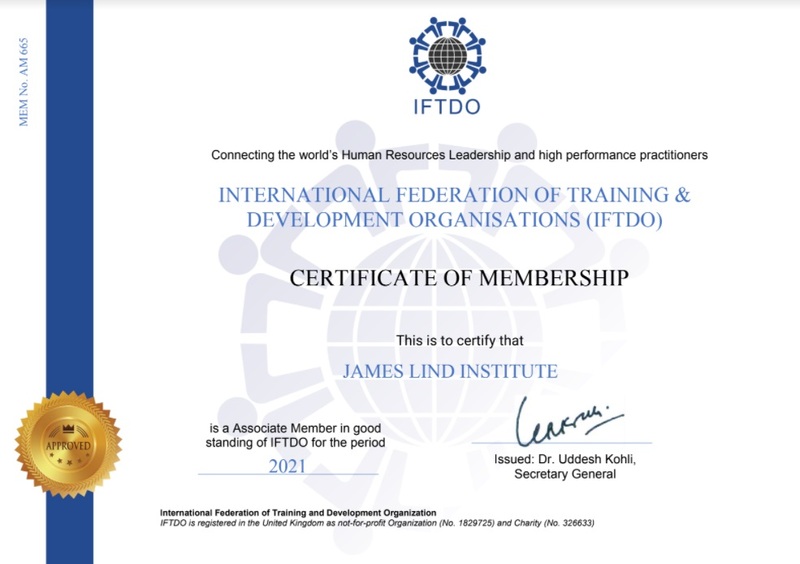 IFTDO was founded in Geneva, Switzerland in 1972 in order to develop and maintain a worldwide network committed to the identification, development and transfer of knowledge, skills and technology to enhance personal growth, human performance, productivity and sustainable development. IFTDO currently represents more than 500,000 professionals in over 30 countries. 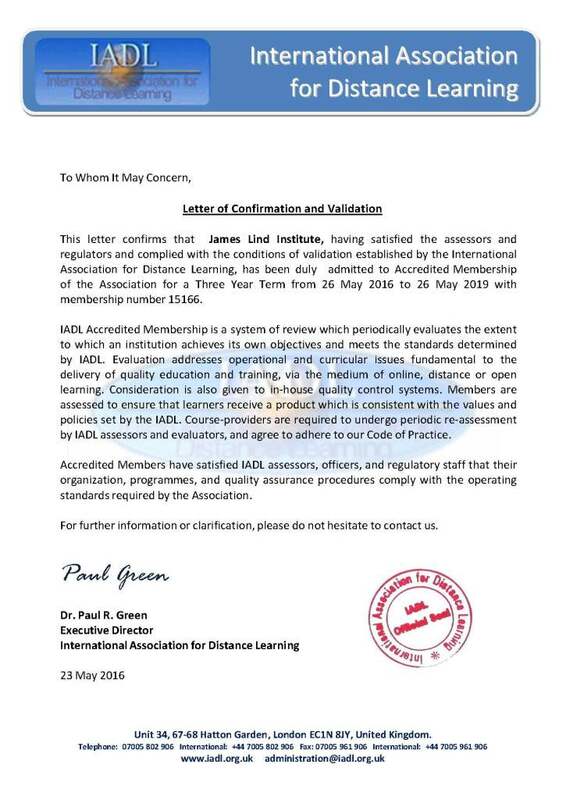 James Lind Institute (JLI) is fully accredited by the AMERICAN BOARD OF ACCREDITATION SERVICES (ABAS) as per ISO 9001:2015 standards for providing Training & Education Programs related to clinical research, pharmacovigilance, medical writing, pharmaceuticals, healthcare and allied sectors.